She walked over and pushed him gently from his side. She pushed harder. Nothing changed. She turned him toward the mirror in the living room. “Maybe it’s just a balance issue,” he said uneasily. The next day at the doctor’s office, they learned that he lost eight pounds since his last check up, his blood pressure was normal, his ears and throat were clear, and overall he was in very good health. When asked why he felt the need to be seen and he pointed out his sudden leaning, the doctor shrugged and said there were worse ways to lean. With medical issues ruled out and the leaning continuing for three more days, his wife made an appointment for him to see a therapist. “Maybe you experienced a trauma and can’t remember it,” she told him. He rolled his eyes but said nothing. 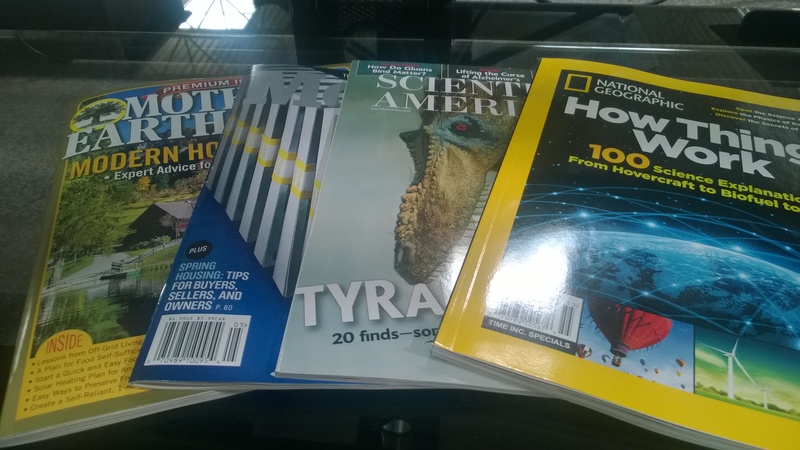 On the table in the waiting room were issues of National Geographic, Scientific American, Money, and Mother Earth News. She held her breath as he looked over the selections, his hand pausing just a little too long over the last one. Finally he stood up and grabbed a Golf Digest from a nearby chair. His wife exhaled. She was the only person he knew who could start a life-long friendship while picking up milk. The therapist nodded. 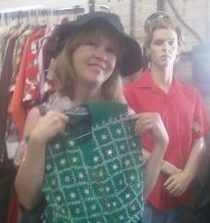 “I see, I see,” she muttered. “Do you think I caught a bug?” he asked. “Isn’t there anything we can do for it?” his wife asked. He opened his mouth, closed it, then looked down at the floor. “I didn’t vote Republican in the last election,” he mumbled. Since our story is a bit crazy, we’ll have a crazy recipe to go with it. 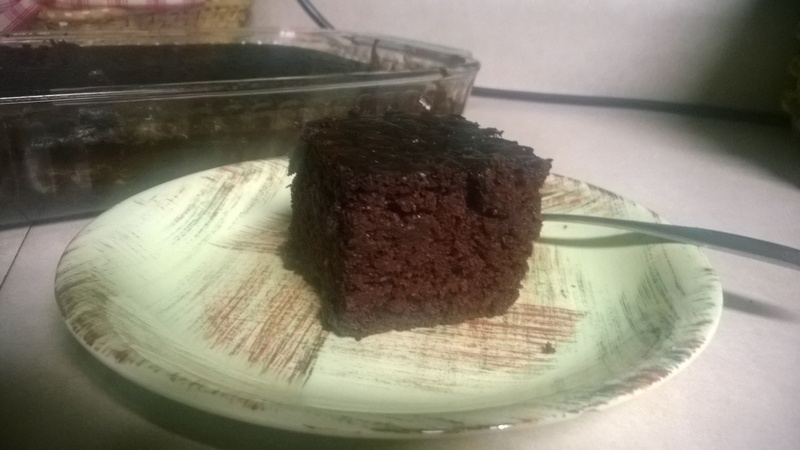 This is my family’s favorite chocolate cake. I like it because it’s incredibly easy and only dirties one pan. Husband, Son and Daughter like it because as it’s so easy, I make it often. You may have seen recipes similar to this one. No eggs, butter, or milk are included, and no, the pan doesn’t need oiled either. See what I mean about it being easy? It’s crazy! Mix dry ingredients together in a 9×13 inch baking pan. Add wet ingredients and stir with a fork until smooth, being careful to get the edges too. Bake at 350 degrees for 30 to 35 minutes, or until toothpick inserted in center comes out clean. Frosting: yeah, I don’t really do frosting. I suppose you can frost it if you want, but we like it best as is, served with a bit of ice cream. The most I’ve ever done is sprinkle it with powdered sugar after it has cooled. Trust me, it’s delicious. Great blog. I want to reblog it because I have republican friends who could learn that leaning left is a good thing. Previous Previous post: Mockingbird Tales … With Pie!